A few days ago, I was in Cambridge for a board meeting. Across the river, we could see a building on fire, surrounded by fire trucks. As you may have read, two firefighters perished. This morning, I saw the Tweet below. I’m going to end this post here, out of respect for the dead and those who mourn them. When Will the U.S. End? One of the fallen heroes’ children attend the same catholic school as my son. The school and the community are mourning the lost of our hero, neighbor, and a great father. My family didn’t know the Walsh family directly, but we knew of them since they were also very involved with YMCA community around Boston. The Walsh decided yesterday that normalcy is important and sent their kids to school: another sign of brave family. I know everyone in the school pray for the Walsh children and the family of the other fallen hero. 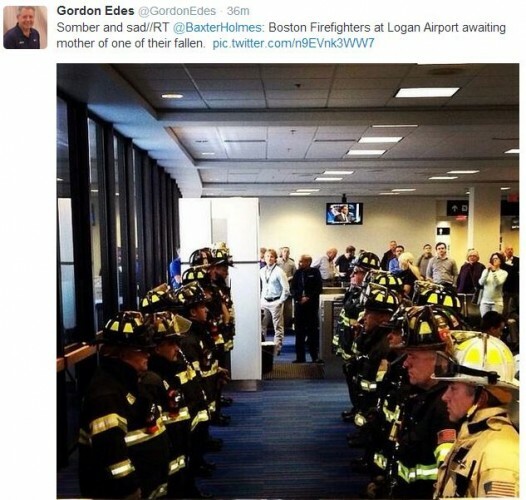 But, if you are reading this post, please think of Lt. Walsh’s family and send loving prayers and energy to them.